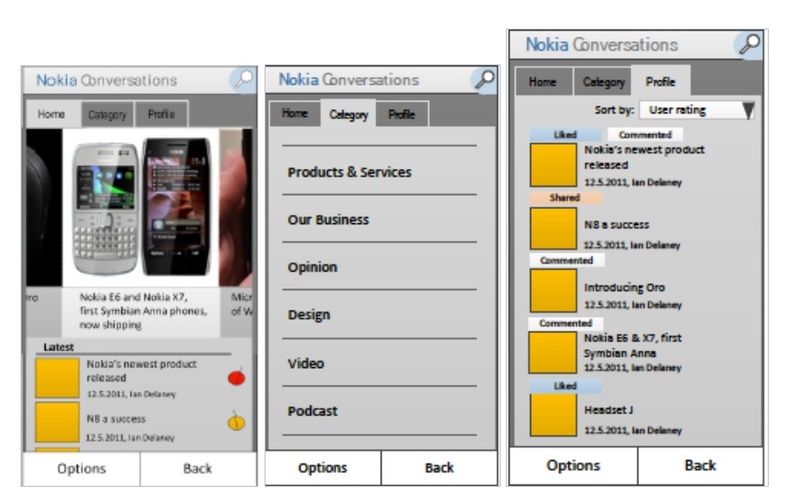 Nokia Conversations – Nokia’s official blog is working on a new app for their site – conversations.nokia.com. Digia, who have a long history with Nokia, will be developing it. Wireframes also to help us concentrate on functionality, rather than get sidetracked onto issues about visual appearance at too early a stage. Gray is NOT the theme colour. This is the usual bland thing you do as final colour schemes can be sorted later. App full story is as demoed below. You’d be scrolling through this of course. I wonder if this is just for NokConv or something they might roll out for their AppWizard thingy? 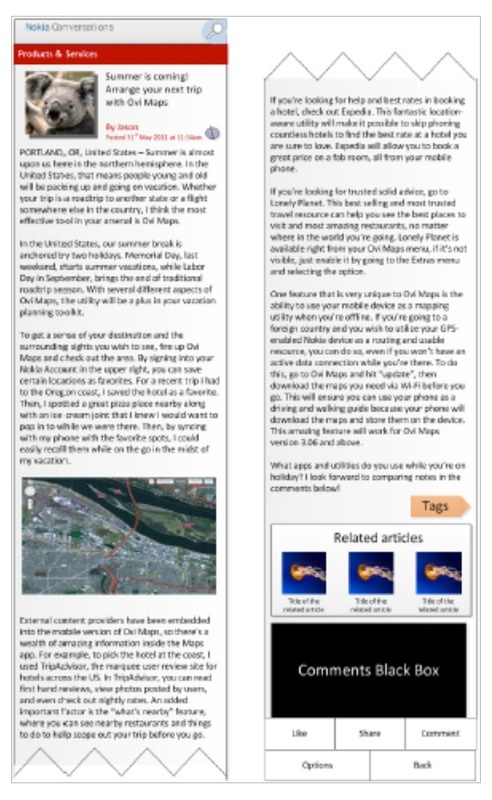 What’s missing from existing blog-reading apps, in your opinion? What I’d like? Possibly ability to have a panel for most read/commented? I’m not sure we need the whole clunky “like/share/comment/options/back”. I find it somewhat antiquated. Can’t we have this pull up, leaving as much space for the screen as possible? « Belle Style update for S40?